Sportsman Country, a Texas-based company, has joined the Massimo, Bennche and Linhai brands under one organization. The goal of the move is growth and improved customer service for all three brands. 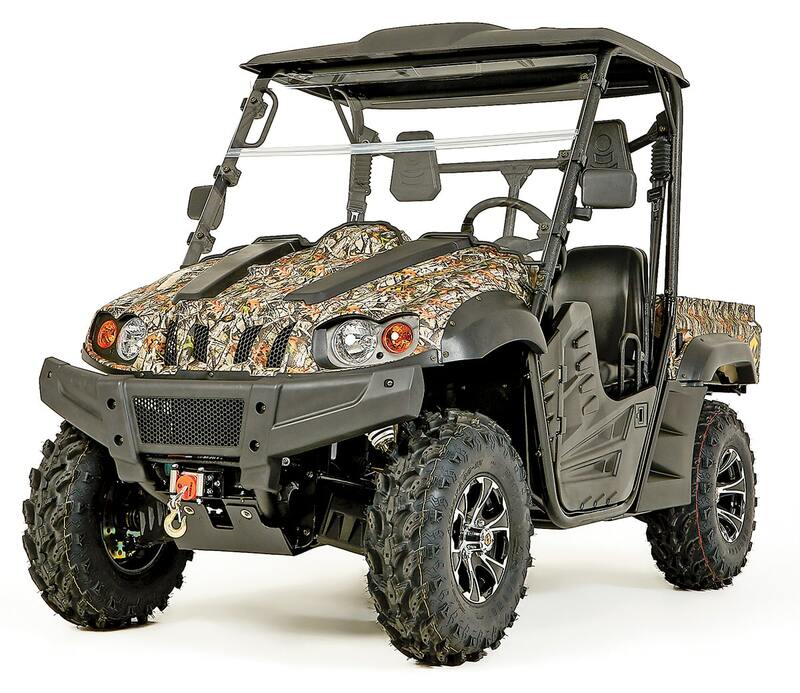 Sportsman Country will not introduce its own UTV or ATV brand. Sportsman Country will provide an online parts ordering system, technical support, retail and dealer financing for the three vehicle brands. 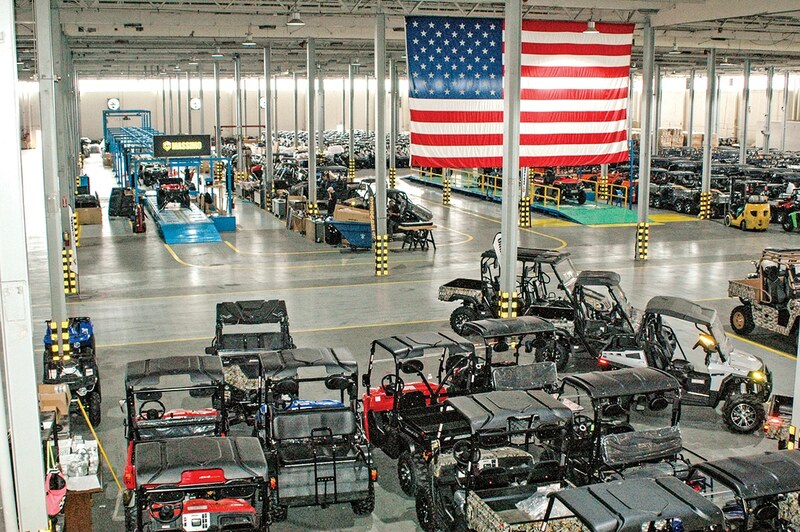 Massimo, Bennche and Linhai UTVs and ATVs will be assembled at Sportsman Country’s 370,000-square-foot production facility in Garland, Texas. The Texas production facility includes an on-site proving course where engine performance, suspension, steering, braking and accessory functions can be tested. More than 200 fully assembled units are on hand and ready to ship. 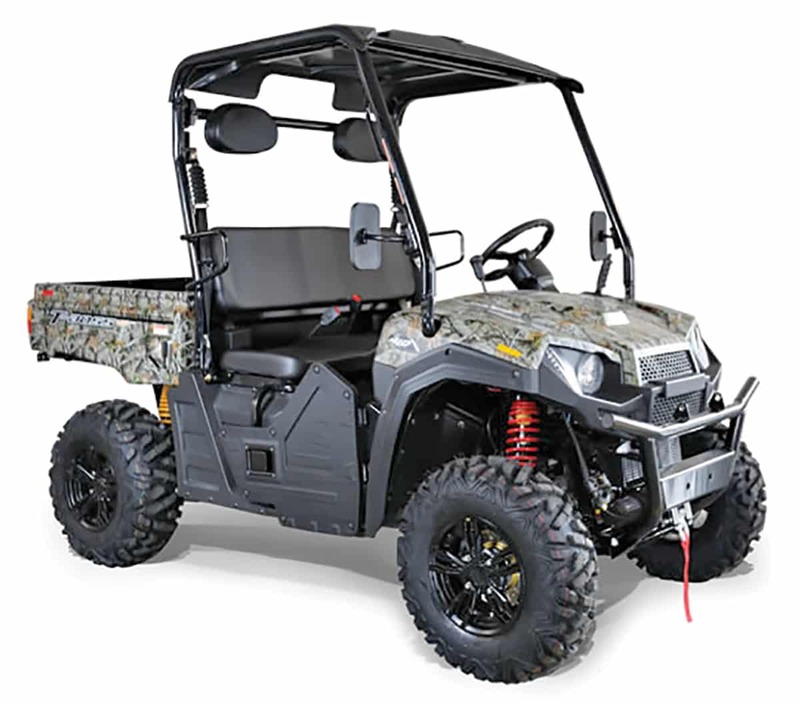 Massimo UTVs are available at Tractor Supply stores, as well as hundreds of independent dealers in the U.S. Bennche and Linhai UTVs and ATVs are also available from hundreds of American dealers. Units arrive from China with little more than the engine installed in the frame. Sportsman Country’s American employees complete the assembly process by installing bodywork, suspension components, tires and wheels, and other components. 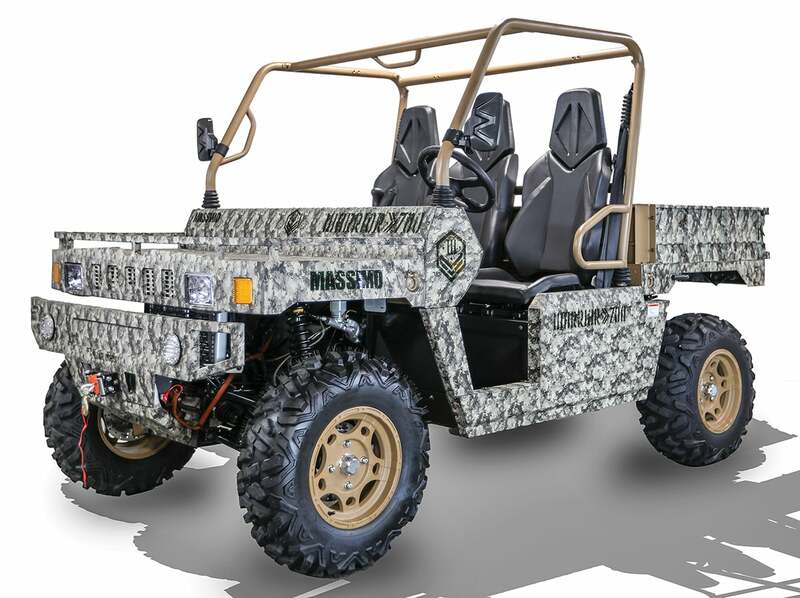 Massimo offers a full line of affordable UTVs and ATVs—from innovative recreation utility machines like the Warrior 700 to 1000cc sport models and even youth machines. The Warrior 700 starts at $10,499. 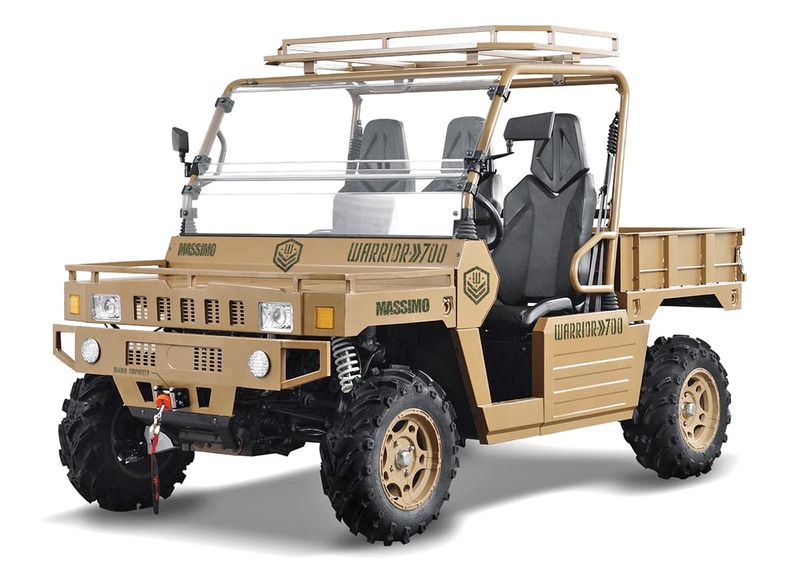 Massimo’s MSU500 recreation utility machine comes with a roof, doors, winch, windshield and alloy wheels for $7999, and it’s available at Tractor Supply stores. 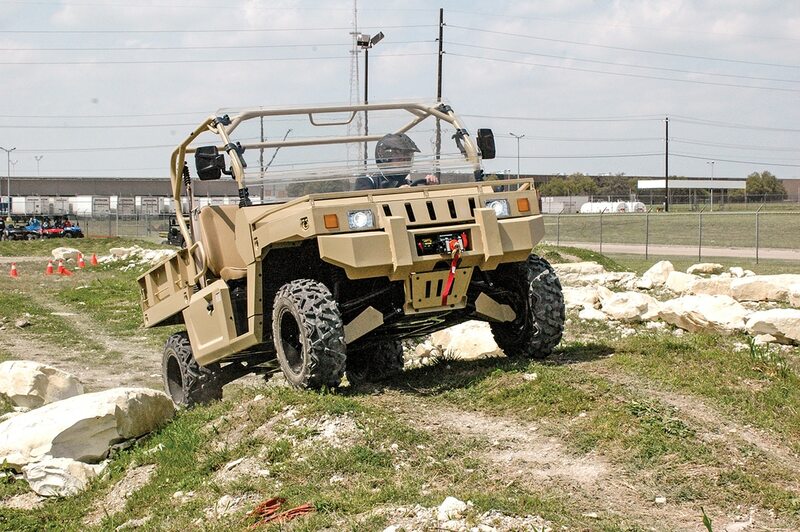 Massimo, Bennche and Linhai UTVs and ATVs will be assembled in the company’s 370,000-square-foot manufacturing facility in Garland, Texas. 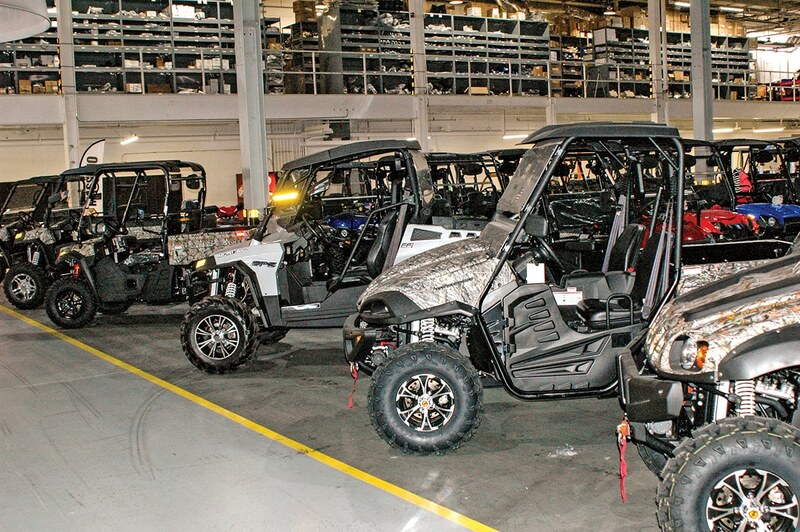 The facility is capable of producing 100 units per day and will enable Sportsman Country to provide a ready supply of in-demand UTV and ATV models. More than 200 fully assembled units are typically on hand and ready to ship. Units arrive from China with little more than the engine installed in the frame. Sportsman Country’s American employees complete the assembly process by installing bodywork, suspension components, tires and wheels, and other components. 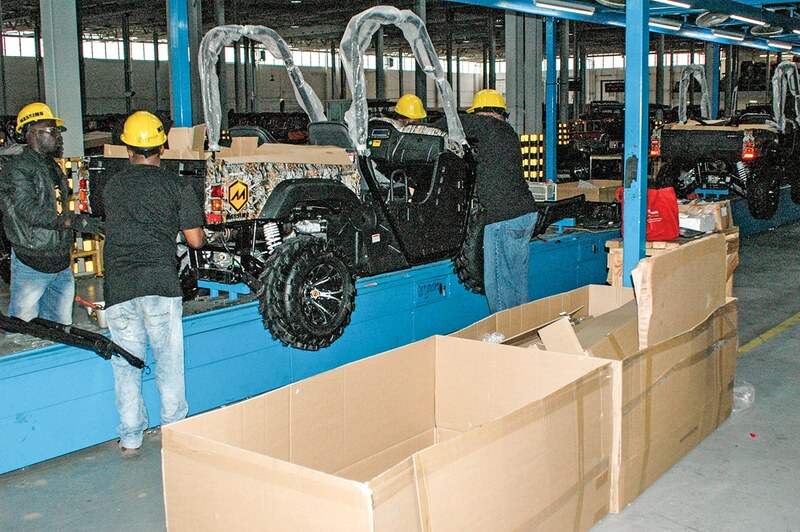 Completed machines are tested at the end of the production line and examined for quality control. The Texas production facility includes an on-site proving course where engine performance, suspension, steering, braking and accessory functions can be tested. 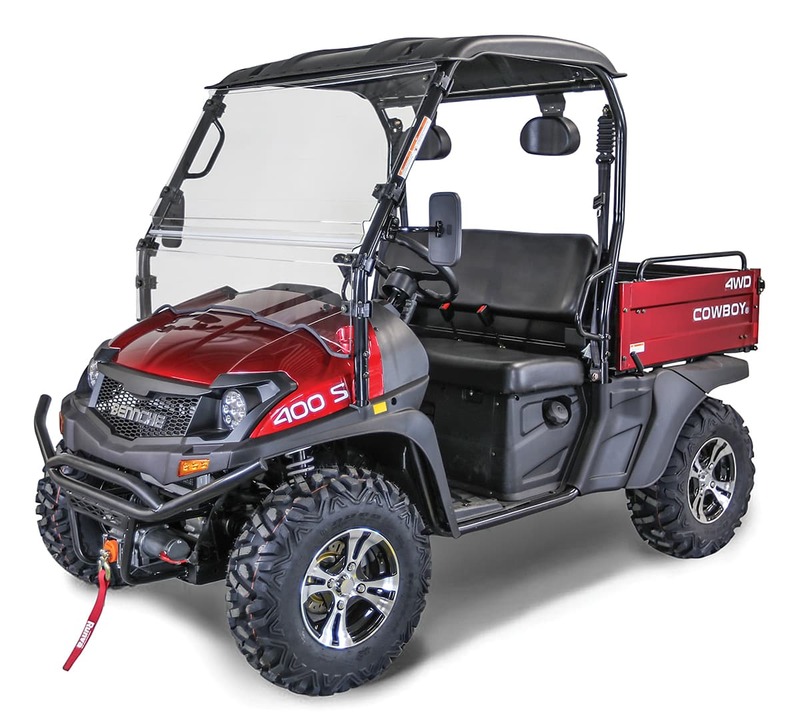 At $7199, the T-Boss 410 is Linhai’s lowest-priced UTV. It’s powered by a 352cc, four-valve, single-overhead-cam engine. Doors, side mirrors, aluminum wheels and a winch are standard equipment. Bennche’s lineup includes sport UTVs like the Spire 800, which is powered by an 800cc, single-overhead-cam, eight-valve V-twin. The Spire 800 is $9999. 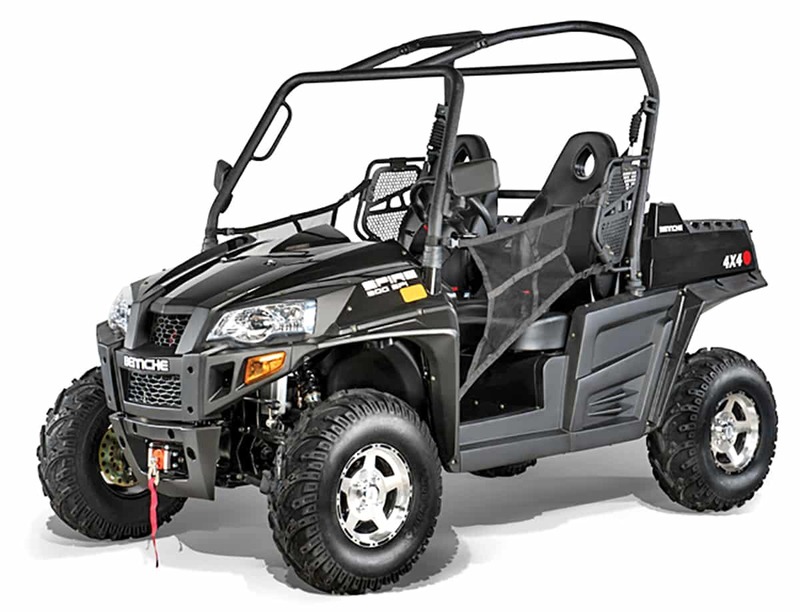 Massimo’s lineup also includes a wide selection of recreation utility machines from 400 to 850cc’s and youth UTVs. 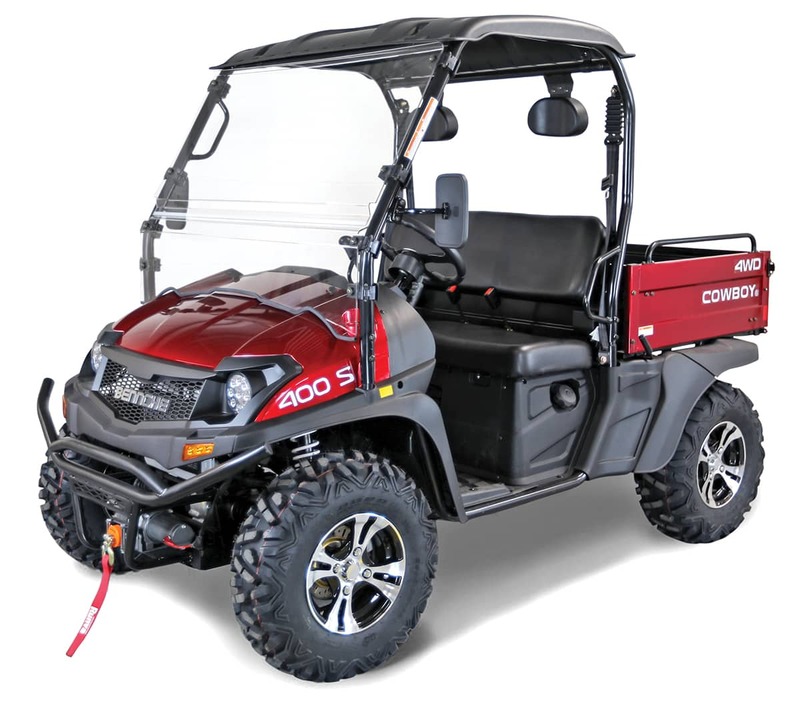 The Cowboy 400S recreation utility machine is Bennche’s lowest-priced full-size model, and it comes fully equipped with painted bodywork, winch, windshield, roof and aluminum wheels. It’s $6999. Linhai focuses on value-priced recreation utility UTVs. 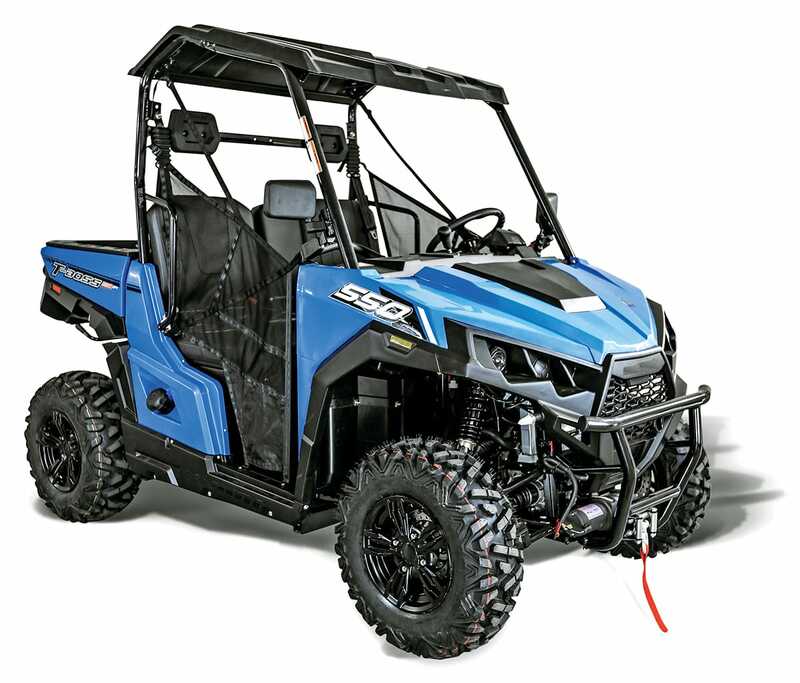 The sporty T-Boss 550 starts at $7999 and comes with sport seats, a roof, winch and aluminum wheels . Sportsman Country plans to refine the three brands’ lineups to reduce overlap among the brands’ offerings and offer more models that meet customers’ needs.